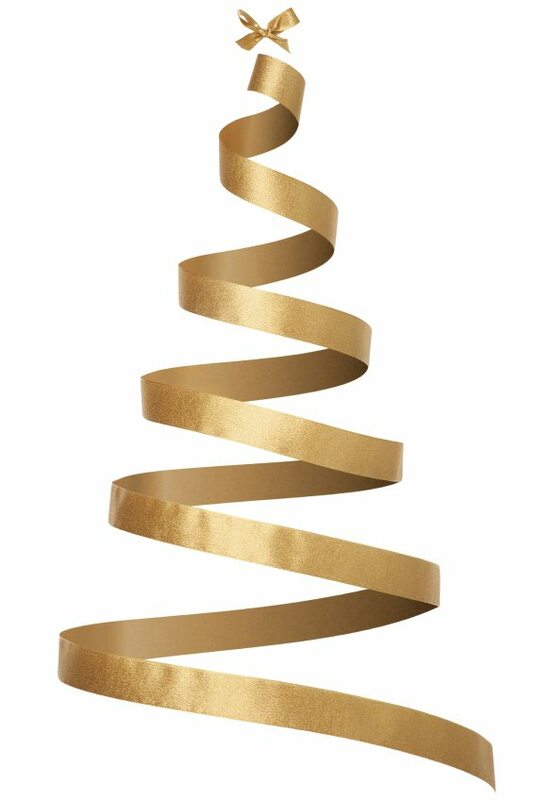 As 2013 draws towards a close, The Culture Concept Circle team, Carolyn, Helen, Janet, Jo, Paul and Ross aconvey very best wishes to our family, friends, followers and wonderful colleagues in the arts and cultural industry, whose encouragement and support this year has meant a great deal. Australians are truly adventurous people; we embrace ideas from enlightenment to gritty realism with great alacrity and, we take time out to celebrate our heroes on every level. The Xmas season is a good time for us all to re-evaluate our priorities and honour the past while living in a very different present. Doing so is a key to Australia’s continuing success as a western democratic nation. Human stories abound in our cultural landscape, stories as complex as we all are. It was sad to learn of the passing of actor Peter O’Toole a few days ago. Having seen some sterling performances at the movies and on television this year, there is no doubt actors enrich our lives. He was certainly one in a million, stealing our hearts. We must continue to celebrate the blessings of our multi-cultural society in Australia and think deeply about how to value the wealth of arts, cultural and musical richness we enjoy every day. 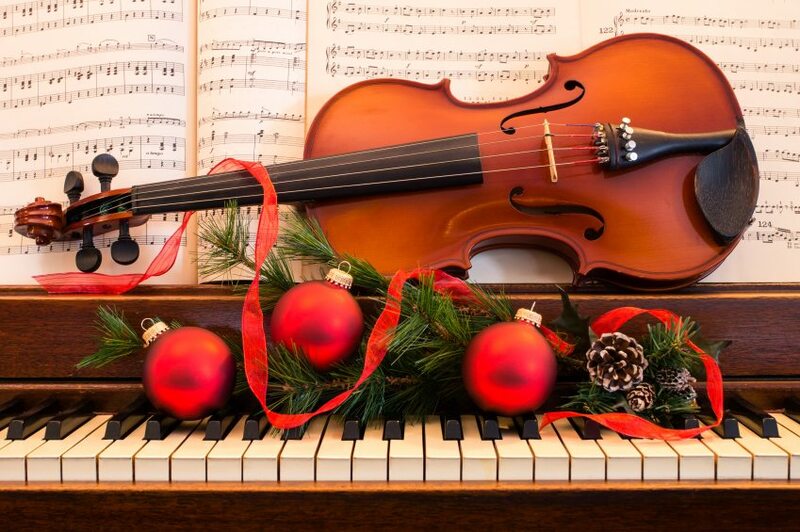 Great musical experiences showcase the genius and energy of the many brilliant players and singers that abound on our shores, and those who visit them. 2013 was filled with superb musical events from all walks of life and all genres and it’s hard for me to know where to start. Growing up loving, embracing and singing music my appreciation for it continues to grow, to change shape and expand as it is continually nurtured by so many talented people in Australia and around the world. 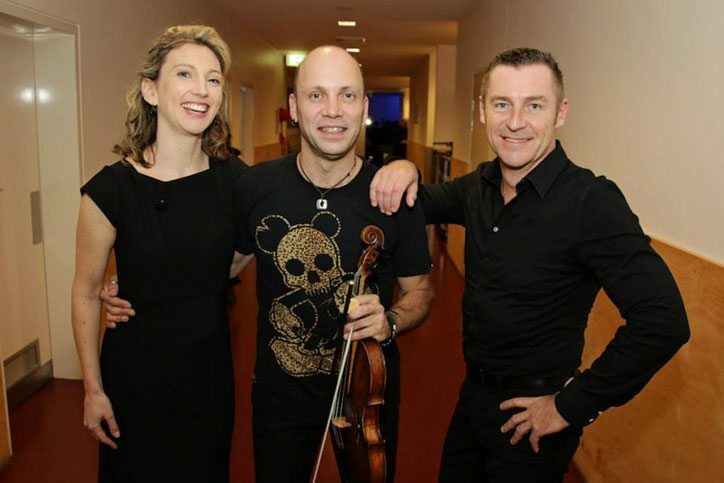 Italian Baroque violin virtuoso soloist and superstar Stefano Montanari, in a superb intimate interplay between musicians of the Australian Brandenburg and the audience at the Melbourne Recital Centre, took my breath away in July in a powerhouse performance everyone present will always remember. In December visiting Sydney my heart was once again leaping with joy during the annual Pinchgut Opera performance of Francesco Cavalli’s Giasone. The opera was a complex layer of beautiful bounteous music to listen to and behold. There were many breathtaking moments, and the production was a feast for all the senses both visually and musically. Extraordinary playing by marvelous musicians, sublime singing by a sterling cast – all in all Giasone exceeded everyone’s expectations. While the story was ancient the presentation was not, and the production proved all art is about the art of now. 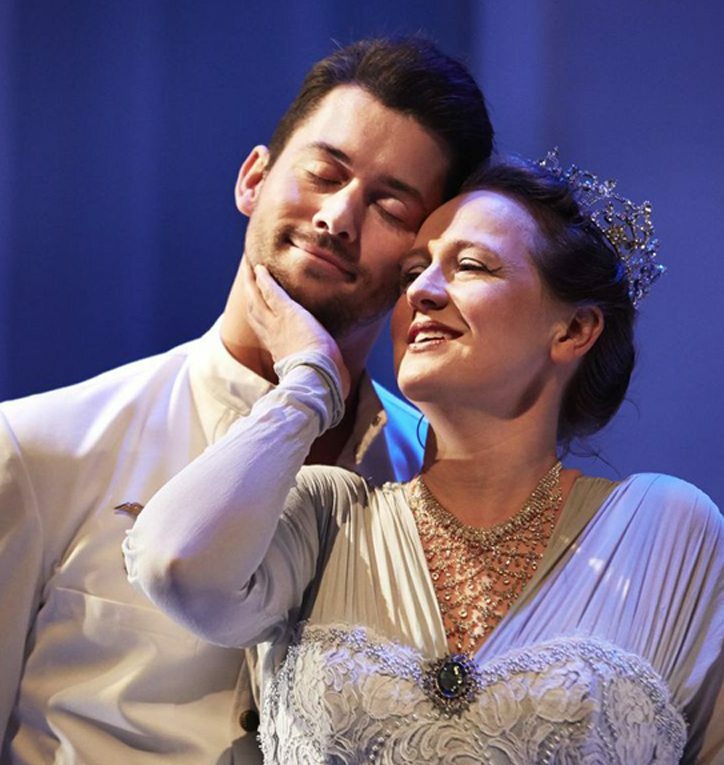 Countertenor David Hansen, who is based in Oslo these days, arrived home to lead the Pinchgut’s truly superb ensemble cast. Together they all triumphed gloriously, aided by their musician colleagues and a very talented crew. We acknowledge and raise our glasses in respect to all. How wonderful that from July 2014 the Pinchgut Opera are going to be offering a second performance each year. 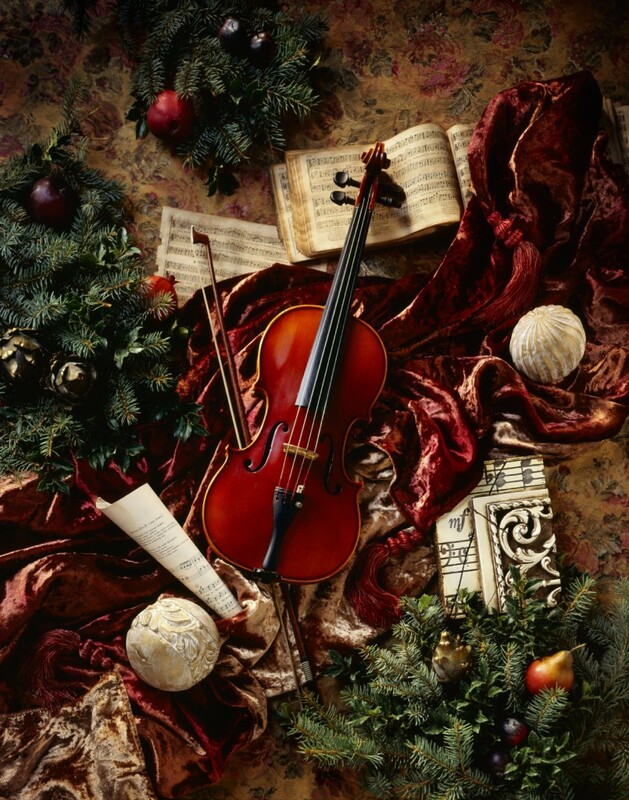 You can win tickets to Antonio Salieri’s The Chimneysweep in our Xmas Giveaway… hurry it closes December 21. Following the event it was indeed a pleasure to talk with some of the cast members, including that very talented Aussie guy who sings high. David Hansen is achieving great success with his international career, supported by loving family, friends and colleagues. This is so important for young Australians making their mark on the global music scene. Hearing first hand about how the opera came together gradually also emphasized the importance of the collaboration process. It’s working so well within the world of performance and visual arts in our creative Australia today. The Black Swan Theatre Company in Western Australia, the Queensland Theatre Company in Brisbane, the Sydney Theatre Company and the Malthouse Theatre at Melbourne, along with other arts groups and supporters, are all collaborating creatively to present, promote and preserve the art of live theatre in Australia. It makes good sense economically and artistically. We are a small country in terms of population. Respecting each other and working together produces a climate we can live in together well. It offers everyone equally a sense of achievement and real hope, one in which quality of life and the nurturing experience are prioritized. 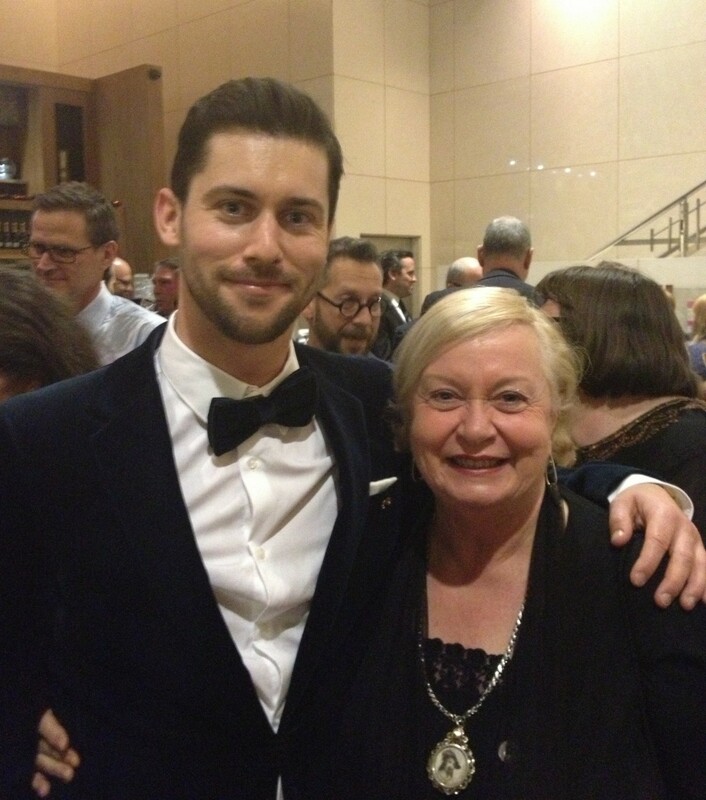 David Hansen also performed in the annual Messiah event last weekend with the Melbourne Symphony Orchestra. As a piece of marvelous music it never fails to surprise and uplift me every time I hear it. Handel certainly was a genius. How glad I was to be there to hear him sing once more with other talented colleagues before the year came to a close. It was also great to be able to review the event first hand for the Circle. It was great this year to see a significant new International festival of music established from a standing start on the Australian cultural scene. Founded by Australian arts and culture guru Leo Schofield AM with producer Jarrod Carland, Hobart Baroque in Tasmania is good for the state, good for Australia and good for the music world. It 2014 will feature performers on the cusp of significant international careers, as well as many fine emerging Australian musicians. It is the only event in this country solely dedicated to performance of music of the late seventeenth and early 18th centuries. Recognising the potential for boosting the local economy, the Tasmanian Government has stepped in and offered support. 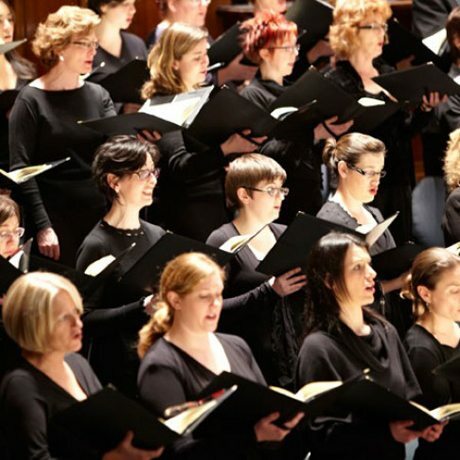 It will now become an important annual event on our music calendar and the 2014 festival will feature composer Georg Frederich Handel’s Orlando. This delightful opera was first performed in London in 1733 and is among the composer’s most admired and original works. Marvelous music moments in 2013 included other awesome Brandenburg events, especially France’s talented countertenor Philippe Jaroussky. He sang like an angel as rocked the Baroque as did the simply sensational soprano Simone Kermes. She was on fire the night I attended, and sang with incredible passion and fearlessness. 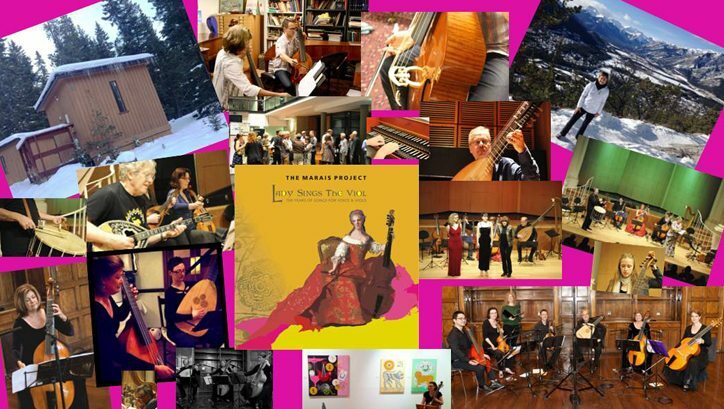 Then there was The Marais Project – Lady Sings the Viol concert in Sydney. 2014 is their 15th anniversary, and they are working on re-imagining themselves so it will be interesting to see what Jenny Eriksson and Philip Pogson come up with in 2014. 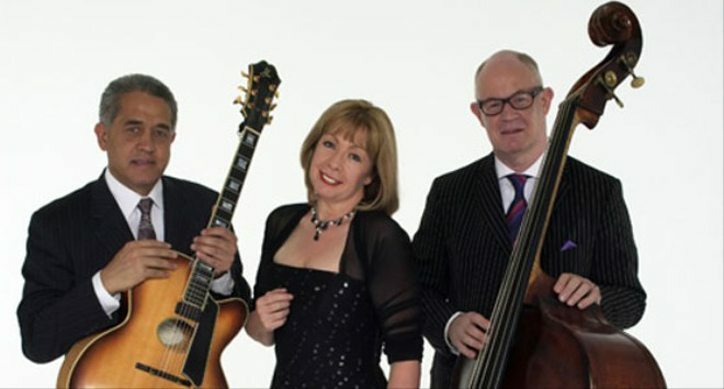 Then there was the cool beauty, sleek stylish and gentle seduction of Janet Seidel’s Far Away Places, a smooth seamless Jazz Salon show at the Melbourne Recital Hall, which Janet Walker and I enjoyed together. All these music events were memorable for different reasons, including the splendid Cavaleri String Quartet from England. 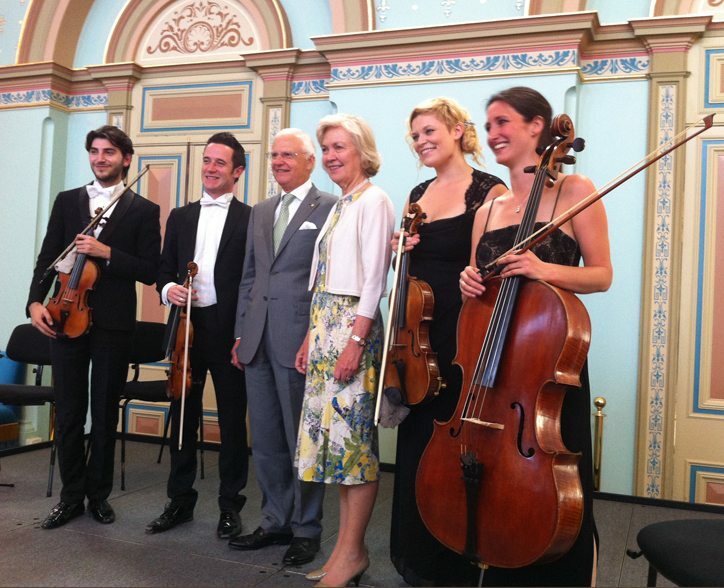 They played at the pinnacle of perfection at a recital in the Ballroom of Government House, Melbourne recently. They added yet another layer of joy to my life. Janet Walker and I hope they come back again soon. 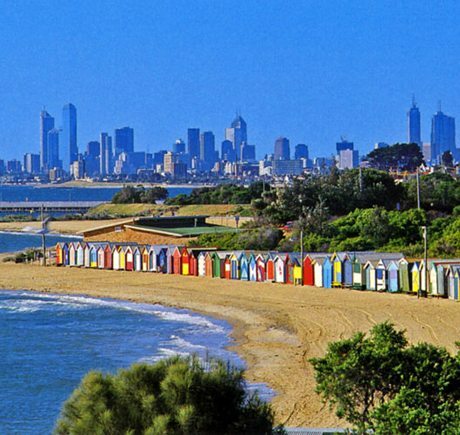 Living in Melbourne, which prides itself on being the ‘arts and cultural’ capital of Australia, is indeed a nurturing and emboldening experience. Previously I lived most of my life in Sydney, just over a decade in Brisbane and now at Melbourne I am able to enjoy its all-embracing atmosphere of joie de vivre. Each city in Australia is very different. Defining what is the most ‘Australian’ trait we all share can often seem elusive. For me our most endearing characteristic is a sense of eternal optimism. In times of strife and trouble Australians are really good at pulling together and making it count. We live in a country where giving of self is a priority for many and very important to our collective well being. 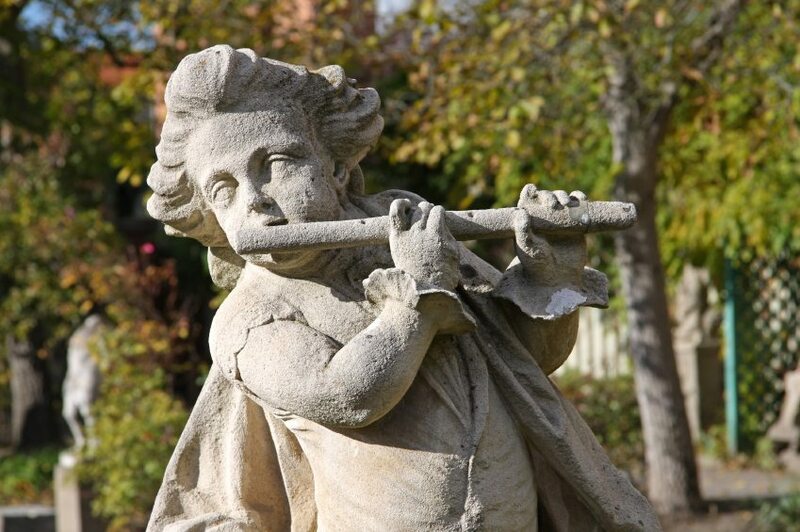 Hope and music are essential elements for refreshing, renewing, revitalizing and reaffirming the human spirit. Working in a great Cathedral for five years and the city Council at Brisbane for five years producing community musical events, allowed me to understand how vital music is to those people who are living with very little, or no hope at all. At this time we raise high a very special toast to the social profit organizations we recommend you support. StreetSmart Australia and Look Good Feel Better both give hope to so many people experiencing great difficulties. Melbourne city, its civic authorities, institutional leaders, corporate and commercial players place a great emphasis on it being a truly ‘creative city’. It certainly shows and is important to those who live here. It is glaringly in contrast to the current national political scene. At the moment we seem faced, in an immediate short term future at least, with a government at our helm who are way behind knowing and understanding that they need to affirm the ‘centrality of the arts to our national identity, social cohesion and economic success, especially if they wish Australia to continue to enjoy strong growth. For me, the ruling team seem to be floundering at everything, including ensuring culture and creativity are mainstream elements of Australia’s social and economic life. Now in power with so much time to prepare behind them, they seem entirely out of sync with each other and general public as a whole. It’s as if they have all lost their way, especially knowing how to be in tune with their imagination. Let’s hope they get their show on the road soon and start using some soon! At the Circle we would be most interested to hear what you think? Melbourne is indeed a place, where conducting the pleasure and business of art are taken very seriously indeed. It is also constantly proving ‘all art is alive, all art is fun, and all art is the art of now’ and, at the heart and soul of Australian cultural development. 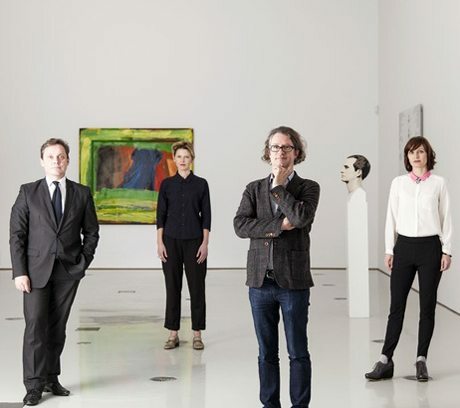 Director of the National Gallery of Victoria (NGV) Tony Ellwood believes Melbourne’s inquiry into art and design is not just a niche interest but a democratic pursuit that crosses cultural geographic and social borders. 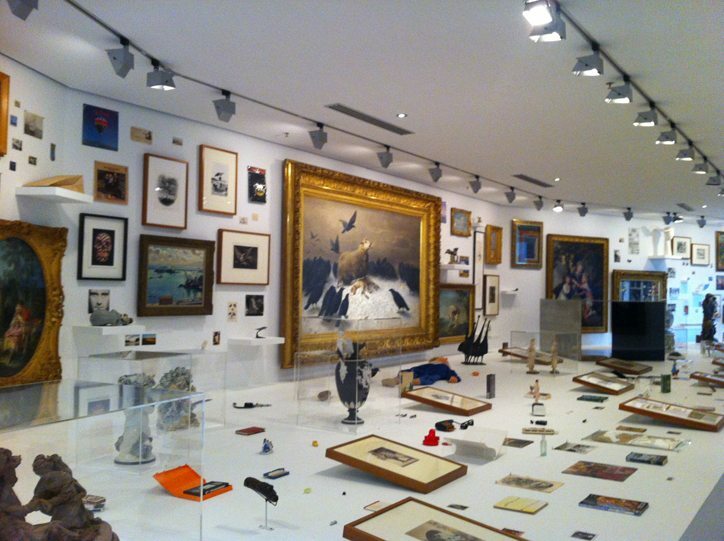 His landmark Melbourne Now interactive exhibition on show all summer at the NGV is proving his point on a daily basis. It’s certainly a great draw card for young people busy exploring what ‘art’ is. In its first two weeks Melbourne Now attracted over 100,000 visitors through its doors, a phenomenal figure. Ellwood and his team have not only garnered a great deal of interest, but also have ensured they are inspiring public imagination. This can only mean continuing great things ahead for Victoria. Hundreds have already danced to a silent disco; thousands have boogied over Darren Sylvester’s dance floor; visitors have filled a room with birds in flight; 41 artists flags have been raised around Melbourne and Hosier Lane, Melbourne’s most iconic Street art lane way, repainted. While a contemporary ‘show’ may not be everyone’s ‘cup of tea’, it is stimulating a whole new conversation among people of all ages who are asked to address and discover what art is, or is not. The ‘Gallery of Air’ is a particularly poignant place to pause and consider that question. After all how can we appreciate anything at all if we don’t know what it means or make any attempt to learn about it? Its contrasting display of old and new art is brilliantly conceived and presented. There is no doubt the ideas that transformed the western world during the 19th and 20th centuries have dramatically changed. Only by imagining ‘creative’ ways of thinking can we continue to drive prosperity as we reach out and move toward the half way point in the 21st centuries second decade. Throughout the year our team places an emphasis on bringing you up to the minute stories about arts and society and its ever-evolving complex development process. It’s a balancing act to be sure and it’s wonderful for me to work with such a talented group of people. The only way we can know your interest is by your interaction via email, by sharing and liking us our facebook page, re ‘tweeting our stories, or by pinning comments to individual posts you have enjoyed. If you do that we send our grateful thanks. You are helping us to build our ratings internationally. We are constantly surprised at the amazing google analytics that show us reaching out to people in places we only dreamed of achieving. Australians do have such a wealth of talent and well honed skills to share and we must respect and value them, and each other in every way. As we complete the countdown to Christmas Day, perhaps if we all endeavour to embrace the idea one man was born to help us realize that only by working together with love can we continue to look forward to prospering and progressing together, what a great Xmas gift it would be. We certainly hope you enjoy celebrating the joy of Christmas and take some time out for yourself for rest, recreation and refreshment. It is the key to good health and well being during the year ahead. 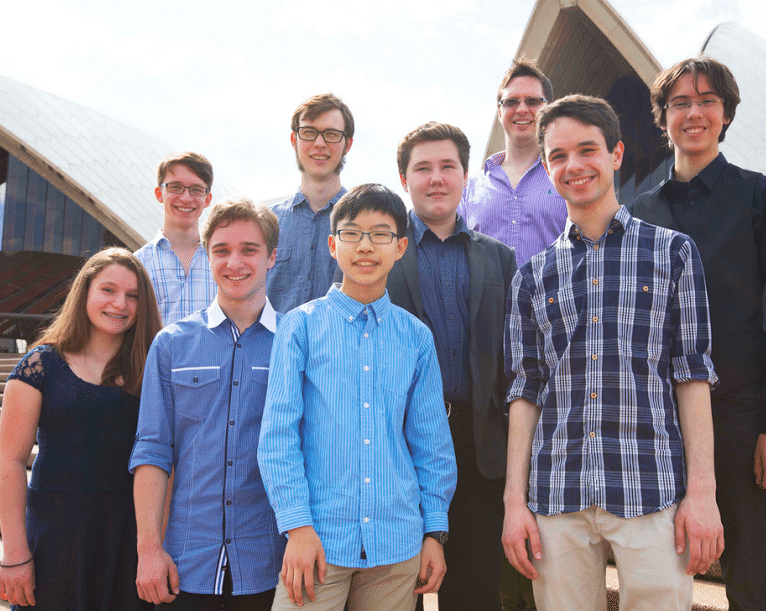 Fanfare: Sydney Opera House – Young Composers on High Alert!